Most motels fail to recognise their business as more than a real estate investment, missing an opportunity for creativity and uniqueness. But, for new owners and brothers Michael and Matt French, acquiring The Pioneertown Motel was a chance to restore the motel’s youthful and charismatic guest experience. No Vacancy asked Michael and Matt to share how their creative approach continues to deliver a splendid guest experience in the heart of the desert. 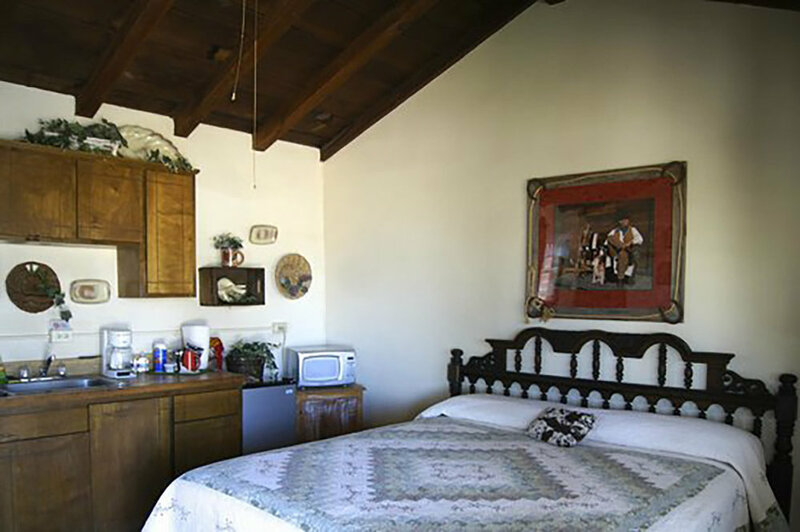 The Pioneertown Motel was originally built for some of Hollywood’s biggest movie stars in the 1940s. Since acquiring the property in 2014, the pair have not stopped dreaming, designing and restoring the eclectic motel as a labour of love. Surrounded by protected lands and rare Californian flat top mesas, the colourful history and storied timeline of the Pioneertown Motel now offers guests a chance to enjoy rest and focus off-the-beaten-track. For the brothers, the brand story behind The Pioneer Motel has always been based on its rich history but the pair noticed a unique design perspective to share the motel’s story with the world. "We realised our brand proposition would come from the Pioneertown's best selling feature - its rich history. By taking the past and bringing it back to life, we were able to share an authentic story with our guests. Combining this with contemporary design and luxurious features we are able to give our guests a better experience in the desert," they recalled. The renaissance of The Pioneer Motel began when the pair identified that its guests were looking for an authentic connection with the environment. They decluttered the interior and refreshed the once ‘kitschy’ look of the space with new furniture and steelwork by local craftsmen. Michael and Matt have always shared a love for boutique hotels that can also engage with the great outdoors. There are exciting plans on the horizon as the pair evolve as a brand and potentially create new spaces. Find out how your accommodation business can leverage creativity and design to increase guest bookings, revenue and efficiency here or watch the short video of our visit to Pioneertown Motel. Special thanks to Michael, Matt and the Pioneertown Motel team. Director's Juliet Taylor + Dominic Locher and producer Chrissy 'Bam Bam' Korostovetz.